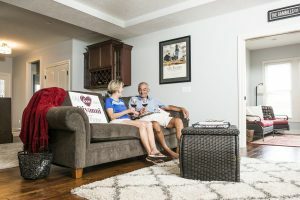 We had the pleasure of sitting down with the Gambill family and learning about their experience building their custom home. 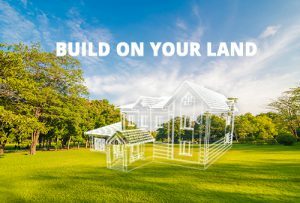 We hope that their tips and insight can help answer any questions you may have about the home building process. We are a retired couple in our late 60’s. 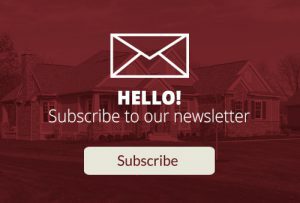 Why did you choose Diyanni Homes to build your custom home? 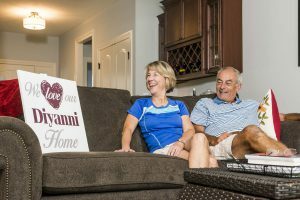 After interviewing 5 builders, seeing either their model homes or homes that each of them had built, we chose Diyanni for their quality, but we also felt very comfortable with Ray. He was great at helping us visualize what our home would begin to look like right from the start. None of the other builders did that for us. Describe the process. 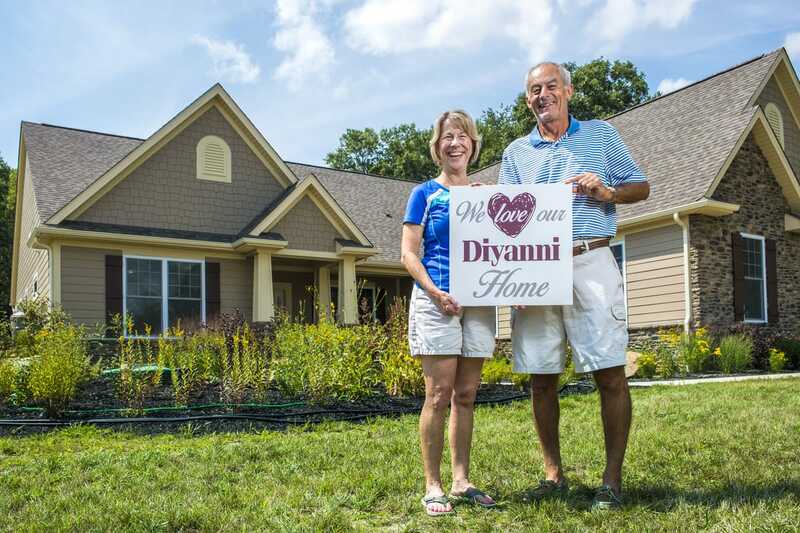 What was your experience working with Diyanni Homes? Since we had never built a home before, we were walking into new territory. All of the staff at different levels of design and building were knowledgeable, friendly, and responded to all of our questions and calls in a timely manner. 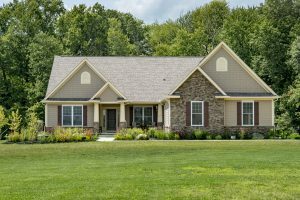 What surprised you the most about the custom home building process? 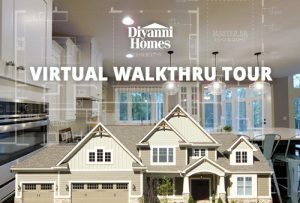 The thing that surprised us the most was how Diyanni Homes was able to help us get a good sense of what something was going to look like BEFORE it went into the plan. They did this through computer generated drawings, pictures of other builds, & showing us materials to choose from for the build. But here’s the best part: this is a “custom” home, which means that it isn’t just like the home down the street. 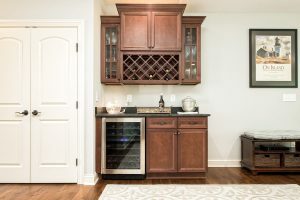 YOU are a partner in adding those special touches that only you want in your home. Diyanni was great in partnering with us to make those special touches a reality. Were there any surprises in the building process? We felt that Diyanni worked hard to avoid surprises. Whenever we were going into a new phase of the build, there was always a meeting to go over everything and make sure we were all on the same page. If anything did pop up, Diyanni was open to discussion to resolve the issues. Our foreman, Chris, was great to work with. Did the craftsmanship and quality of your home live up to your expectations? Very much so. 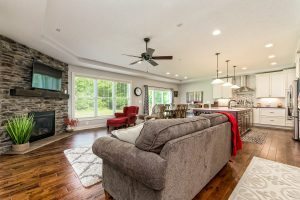 It is a beautiful home and we love the way it turned out. 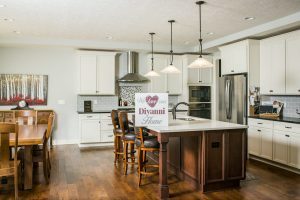 Would you recommend Diyanni Homes to family or friend? Absolutely. We have recommended them to strangers too, when they ask who built our home. 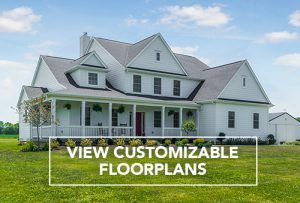 What is your family’s favorite feature of your custom home? We love the layout of the home. It is a ranch with the master bedroom and bathroom on one wing and 2 bedrooms and a bathroom on the other wing. We built it so we can age in it. You can get a wheelchair into our shower and toilets are raised for easier access. 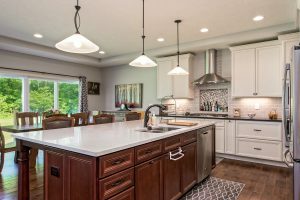 We also love the kitchen/dining/family room combo. We enjoy cooking with family members, kids or adults. The extra big island accommodates prepping and serving food very nicely. 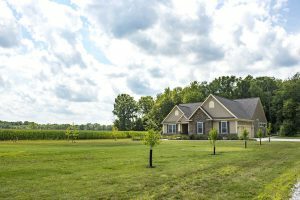 Any advice to someone thinking of building a custom home? Choose someone who can give you a vision of what your home can look like and deliver on that vision. Do your homework, interview your builder to get a sense of them, but most important, talk to someone (or two) people who have had a home built by the perspective builder. Go see the home and ask them what the process was like for them. They have nothing to lose or gain so they can be painfully honest. This is what we did and that is why we chose Diyanni.